Wildcats! Save the date and nominate! 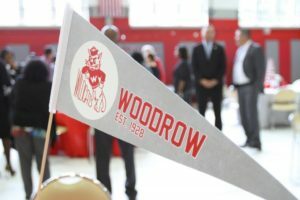 Nominations to the Woodrow Wilson High School Hall of Fame are now open! Your participation is crucial to the continuation of this distinguished program, which seeks to recognize and celebrate Woodrow’s most talented, accomplished and civic minded. Nominations may be submitted by anyone but the deadline is May 20. Those selected for the Hall of Fame will be inducted on Saturday, October 26 as part of the WWHS 90th Anniversary Celebration. Find further details and submission forms at wwhsaa.org/hof-nomination.